The 2017 Jaguar XE 20d has won a value award – the 2017 Best Fleet Value in America award by Vincentric. The XE 20d won out in the Premium Luxury Mid-Size Sedan segment, but what does that mean? This award is for recognizing vehicles with the lowest expected cost of ownership in a variety of scenarios. All brand-new Jaguar vehicles come with the Jaguar EliteCare coverage which is a 5-yr/60,000-mile warranty. This impressive warranty plus the Jaguar quality go together to create an amazing value. 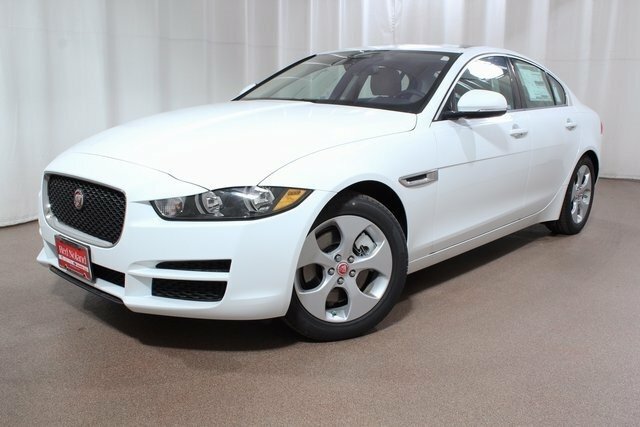 Jaguar Colorado Springs in Colorado Springs, Colorado currently has the award-winning 2017 Jaguar XE for sale at our Motor City showroom. Let us tell you all about the many features and how they will make any drive a better one. We know you will be impressed by the powerful performance of this luxury sedan.